Here are samples from my recent Washi Tape Card Class. The designs were inspired by samples I saw on Pinterest. I made a few changes. 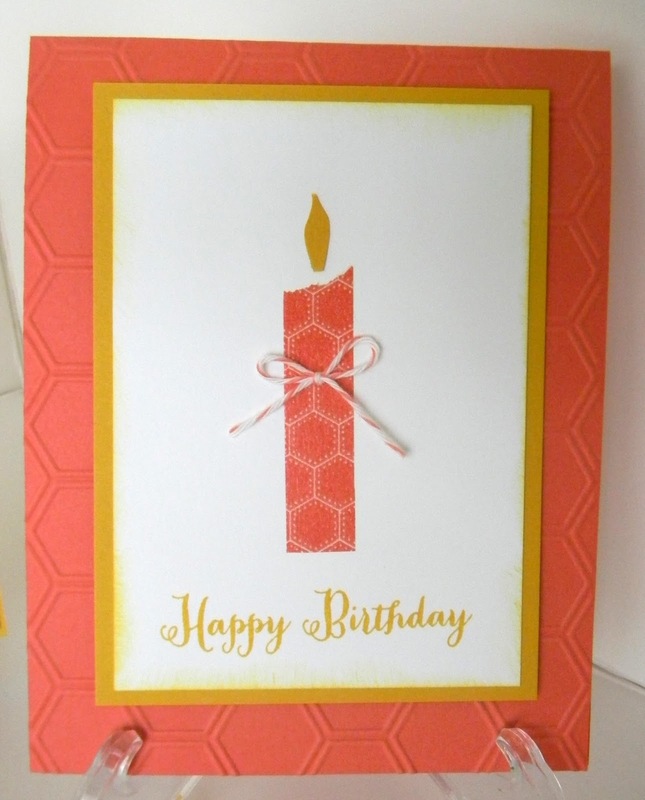 I used the 3-1/2 x 5 Note cards for this card. 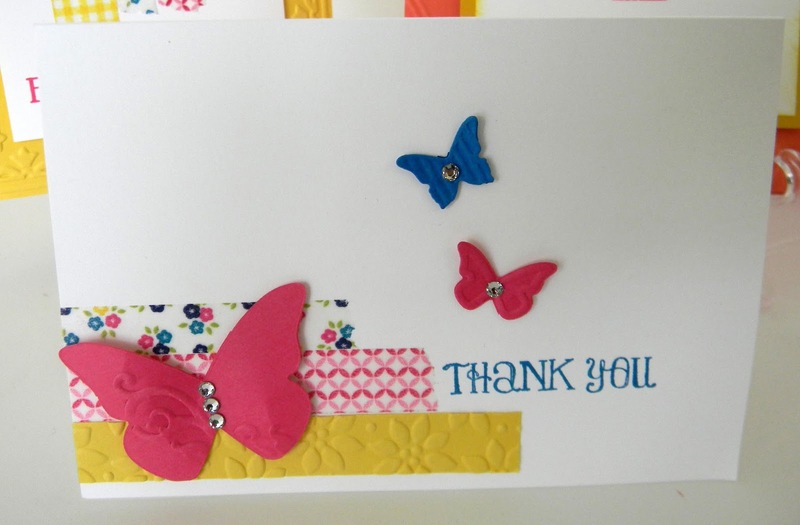 A perfect size for this adorable butterfly and Washi Tape combo. One piece of Washi Tape torn is all it took to make a candle! The flame was cut freehand. 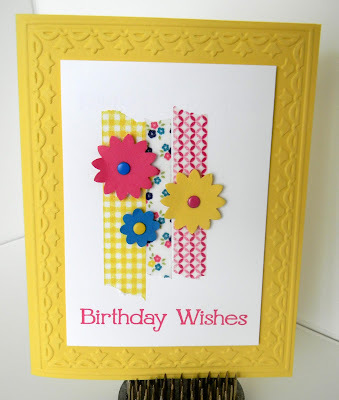 Did you notice that this Washi Tape coordinates with the Embossing on the background card? Love that about Stampin' Up product! Adorable! Three pieces of the Gingham Washi Tape. Punched coordinating colors of cardstock with the Boho Blossoms punch. Used the new Candy Dots for the center of the flowers. Framed with the Tulip Embossing Folder. My life is consumed with wedding planning at the moment and that is why I have not been posting. My oldest son is getting married this Saturday ( 8/24 ) and I have been very involved with the planning. The last few weeks are the busiest! I am so looking forward to celebrating the day. BUT I do not really get a break as my daughter is getting married in 7 months! 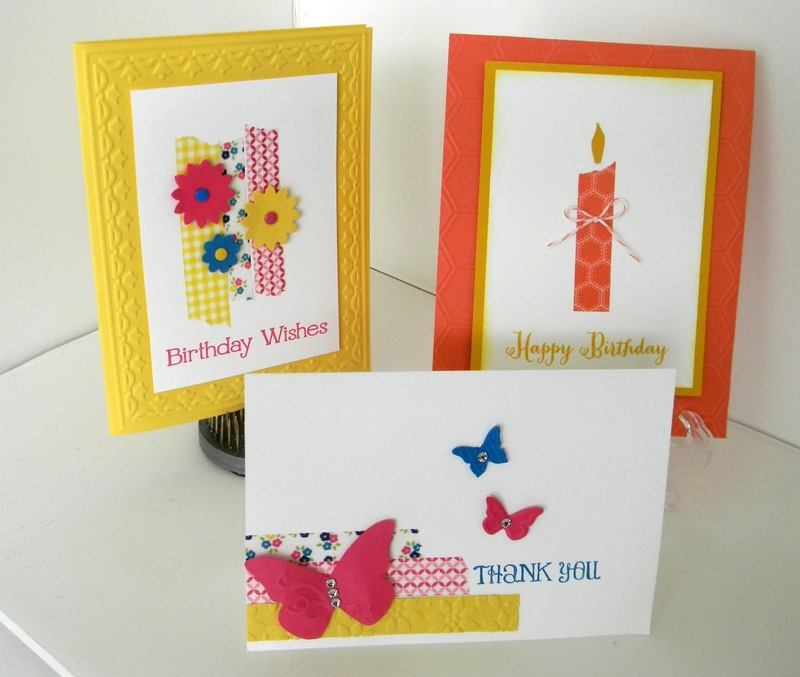 More wedding invitations to make and favors and place cards and decorations - oh my! This is an exciting time! I will get back to posting more often after the first wedding - I promise!